Anyone can be a humanitarian. Why not you? An active philanthropist, Gray Robinson is committed to helping humanity in any way he can, contributing in numerous ways to a wide range of projects, causes and organizations. With a strong dedication to service, Gray travels around the world to teach and advance various humanitarian endeavors, grateful for each opportunity he can be of service. He is a champion of corporate consciousness, partnering with businesses aligned with like values advocating shared responsibility and generosity to further worldwide humanitarian efforts. Gray has served as a Member of the Board of Directors for several organizations focused on furthering humanitarian efforts and cultivating integrity, compassion and service. Although Gray prefers to give silently, he is happy to share just a little bit of his journey in the hopes you’ll be inspired to do the same. School children of the Matsiegenka Tribe enjoying clean water outside their schoolhouse for drinking and washing. 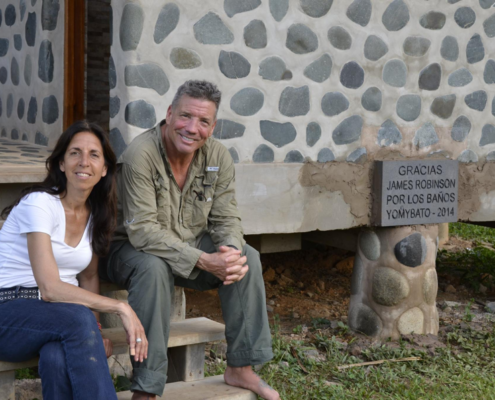 Along with direct funding from Gray Robinson, Derek O’Neill, SQ Foundation and the generosity of many others, Rainforest Flow* has brought sustainable programs of clean water, sanitation, health and education to the people of the rainforest. Thanks to the tireless work of this incredible organization, indigenous communities in the southeastern Peruvian Amazon now have equal access to safe drinking water, utility sinks with underground drains, bathrooms with an eco-friendly septic system at the village schoolhouse, education for children and families in daily health practices, and secondary and university level educational scholarships for village youth. Rainforest Flow stepped in following several unsuccessful attempts made by the Peruvian government’s social service agencies and various NGO’s to deliver safe drinking water to native communities. Because the people live in concentrated settlements, their rustic sanitation conditions contaminate the very streams and rivers where they gather their water. In dry season, the streams dry up and the women must gather their water from distant locations. 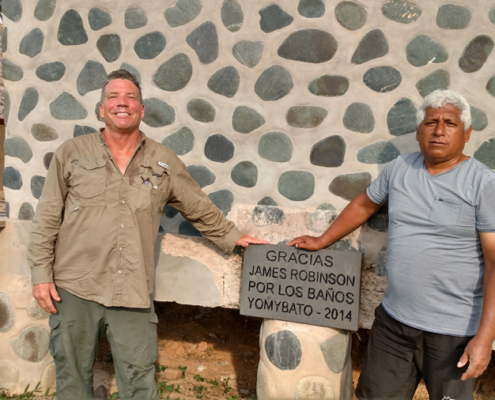 To see these beautiful communities utilizing and enjoying clean water – which most of us take for granted – was incredibly special and heart-warming. This is is the first time in the history of the Manu Park (established in 1973) that indigenous people in the protected zone are empowered by sustainable health infrastructure including, clean water, sanitation and health education. With continued support, Rainforest Flow can replicate health programming in additional indigenous communities in the Manu Rain Forest and Camisea River region. *Rainforest Flow is a non-profit organization whose mission honors global cultures by providing sustainable water, sanitation, health and education programs that raise the quality of life of children and adults in specific context to their cultural and environmental needs. 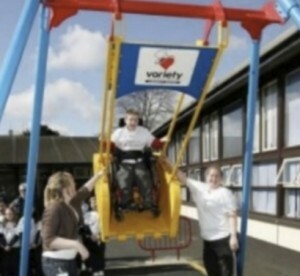 Wheelchair-bound children in Ireland can now use and enjoy the experience of being on a swing. Watching a child’s face light up at the simple pleasure of being on a swing can be as joyful as swinging yourself. No matter how old you are, we can all recall the feeling of having the wind blow through your hair, the excitement of swinging back and forth, and pushing your limits to go and feel “higher.” Together with the help of Derek O’Neill, SQ Foundation and others, many wheelchair-bound children are now able to use and enjoy a swing and have as much fun as everybody else – many for the first time – just like able-bodied children, and experience a sense of movement and freedom. These “Liberty Swings” officially opened a few years ago in Wexford, Ireland, allow kids with limited mobility to get onto a Liberty Swing and experience the sense of movement and freedom that comes from enjoying a swing. And, SQ Foundation has committed to fund 20 Liberty Swings that will be installed throughout Ireland over the next 10 years. Weeeeeee!